I was reading Barrett’s wonderful blog on the #meetmycharacterblogtour. (check out her character Silke here: http://wordsofbarrett.wordpress.com/2014/06/30/meet-my-character-blog-tour-starring-silke-dyson/ ) and I began to do mine but Aeron decided that she wanted more than just a few questions. So, here’s me trying to get sense out of her. Name: Aeron Lorelei – that’s “Air-ron… Lor-rel-leee.” And yeah, it ain’t a usual name, I don’t need you to tell me that. I been spelling it my whole life. Age: Er… last count, I think it was twenty-five, maybe twenty-six? I guess I’m somewhere round there. Gender: Are you trying to be funny? What the do you think? Besides, that ain’t nobody’s business. Nosey. Relationship status: I spend most of my time avoiding people… I don’t fancy getting THAT close. Height: Six foot and five inches – so short. Hair colour: Um… brown… ish? Eye colour: Seriously? Okay, er… brown? Family background: That’s kinda a sore point but you’ll learn that. What I got for you now is that I have two dumb parents who don’t give a shoots about me and Nan. Now, I don’t know who she was but she took care of me and I miss her… a lot. Other than that, I ain’t got no one. Where in America are you? I come from Oppidum in Missouri, that’s where you’ll find me. What should we know about you? That I’m kinda different, I’m big and bulky and about as graceful as a monster truck. What’s your personal goal? To stop sensing other people’s emotions. I’d pretty much like to have peace and quiet, maybe play a little now and then. Other than that, I guess I ain’t really thought about it. When will it be released? Are you talking about me or the book? 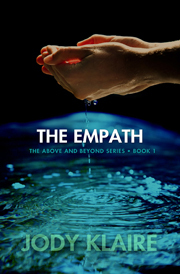 Either way I ain’t got no clue… I don’t see the future… I don’t… Look out for The Empath August 2014!